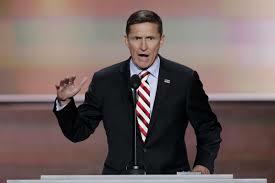 Retired Lt. Gen. Michael T. Flynn endorsing Trump at the Republican National Convention. Retired Gen. John Allen endorsing Clinton at the Democratic National Convention. The United States Military is currently the only major arm of the government which enjoys the overwhelming trust and confidence of the nation’s population. Captured by a Gallup Poll, the public’s confidence in the Military sits at 72%, which is 4% over the historical average. The Presidency and Supreme Court both have public confidence levels in the low 30% range, while Congress sits far below at 8%. This is not new territory for the Military, as they have consistently ranked first since 1989. The reasoning for this isn’t quantified by the poll, and military leadership doesn’t seem to know either. Despite the unpopularity of the Iraq War, criticisms of the Afghanistan campaign, and multiple other military controversies, people still trust their military. A growing civil-military divide has decreased the civilian population’s personal familiarity with the military, and the rise of Generals commonly portrayed in the media due to wartime command has made names like Petraeus, Mattis, and McChrystal well known across the country. Senior level retired officers have also become a common theme on television news outlets, providing insight on foreign policy and military strategy, based on their bonafides as experienced military professionals. These officers represent their respective services and the military at large, even into retirement. Their words and opinions may be interpreted as the beliefs of the military at large for those far removed from the armed services. Hillary Clinton and Donald Trump have both touted their list of retired Generals and Admirals who have officially endorsed them. As of September 14, Hillary Clinton has received ninety-five endorsements, while Donald Trump has received eighty-eight endorsements. The precedent of retired general officers endorsing candidates is fairly new, beginning with General P.X. Kelly’s endorsement (and appearance on campaign ads) of George H. Bush in his primary race against Pat Buchanan. Since then, multiple officers have publicly endorsed and campaigned for Presidential and Congressional candidates. This has included high profile figures such as Colin Powell, Norman Schwarzkopf, and Tommy Franks following their success in wartime. Some have gone so far as to attack a Presidential candidate, as was seen with the Swift Boat Veterans for Truth (SBVT), led by Rear Admiral Roy Hoffman, in an attempt to discredit John Kerry’s military record. The SBVT claims were later proven to be unfounded through a Navy investigation. In this election, two retired Generals have repeatedly spoken on behalf of their candidate, to include televised remarks at the Republican and Democratic Convention’s. Michael Flynn, a career military intelligence officer and former head of the Defense Intelligence Agency, has been consistently featured in the news in his support for Donald Trump. 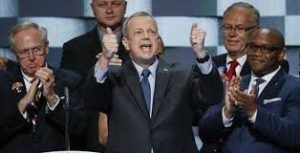 John Allen, a Marine Corps General and former Deputy Commander of Central Command, has also been featured in the news for his support of Hillary Clinton. During Dwight D. Eisenhower’s military career and while in the position of commanding all forces in Europe, he maintained a similar approach to politics as General Marshall. He never voted, and never used his position until he was convinced to run for President. Arguably, these two Generals possessed more fame and notoriety than any other since George Washington. They rose to power in times far more perilous to national security than we see today, yet still refrained from utilizing their influence to involve themselves in the endorsement of candidates or party affiliation. This stance allowed them to provide honest assessments and recommendations to the elected civilian leadership. Given in confidence and confidentiality, the civilian leadership could entrust the General’s recommendations had no political leanings. Generals using their position to leverage change in policy is not without precedent. General MacArthur was an equally famous General of WWII, and continued on in service to serve as the commander of all United Nations Forces during the Korean War. MacArthur disagreed with the policies in place regarding the war effort and how to best combat the spread of communism in eastern Asia. His beliefs became more vocal as he attempted to leverage his position to change the policies in place with the American public, and went so far as to inform personnel from foreign embassies that his desired changes were forthcoming. The trust and confidence between General MacArthur and President Truman was destroyed, and Truman relieved MacArthur of his command, effectively ending his military career. MacArthur was received home as a hero, while Truman’s approval ratings dropped to the lowest ever recorded for a sitting President. A loophole does exist for retired military members to campaign on behalf of a candidate, as long as it is clearly specified that the individual is retired. This is clearly the provision that the long list of retired Generals and Admirals have utilized in order to endorse and campaign for their candidate of choice. The issue at hand is not the legalities of endorsing candidates, but rather the precedent set over the last twenty-five years of retired General Officers involvement in politics. It certainly goes against the standard set after the country was torn apart in the Civil War and pieced back together in the following Reconstruction years. More recently, we have seen commanders reports on troop levels levels leaked to the press, such as in the case of the McChrystal Report. These have not been directly tied to active duty military personnel, and may have been leaked through bipartisan political debates from within Washington D.C. Regardless, it was heavily covered by print and television news, despite the ongoing discussion to determine troop levels in Afghanistan by the White House. As covered by Bob Woodward’s “Obama’s War”, these leaks and further media missteps by General McChrystal and his staff would eventually lead to his dismissal as commander in Afghanistan, and decrease the levels of trust from the Obama administration with its military leaders. The community of active duty and retired General Officers is a small. How might a new President respond to the recommendations of his generals if they are closely tied to a retired member who endorsed the other candidate during the election? The President is also able to recall Generals and Admirals as they may deem appropriate. How will the increasing politicization of retired military members effect a recall in a time of war?